Benro has debuted the RedDog R1, a three-axis gimbal stabilizer with a swivel handle designed to provide stable, easy-to-access, multiple camera angles. 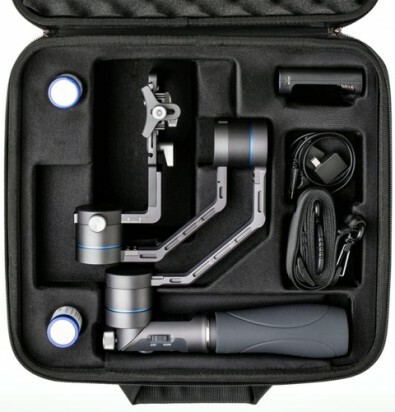 Unlike other gimbal stabilizers, Benro said the R1 allows for straight holding only in two modes — the Upright and Carry handling modes. Upright Mode is suitable for high angle and medium angle filming. Carry Mode is best for low angle filming. 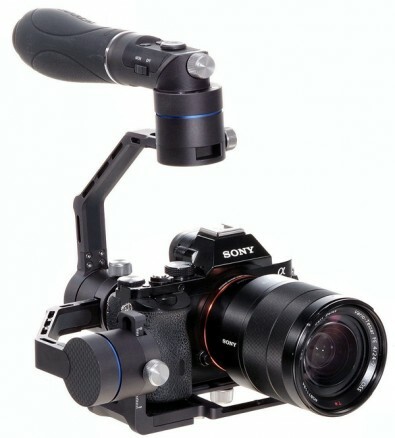 "The R1 has a great balance to it especially when using the swivel handle for waist height and low to the ground shots. It is much more comfortable to hold and operate for long shoots or multiple takes and we think that today’s filmmakers and content creators will like this feature,“ said Brian Hynes, Benro’s USA Brand Manager. Ideal for cameras up to 2.9 pounds, the R1 features CNC machining. It’s collapsible handle, makes it light weight and compact for travel. The R1's ergonomic silicon grip provides comfortable handling at all times. By turning the button on the handle, users can quickly convert the R1 from high angle to low angle mode, making it simple to track low moving objects, or achieve a low 360-degree shot comfortably by putting less strain on the wrist. The underside of the R1 handle has a ¼”-20 threaded hole for mounting the stabilizer to a tripod. This allows you to connect the camera at a particular spot while still using the various modes such as Pan track or Lock mode. The Benro R1 supports multiple camera types including mirrorless, smartphones and action cameras. It is currently available for $399.00.